Capacity: 12 passengers (1,000 after rebuild) 230 cars (after rebuild) , 65 freight vehicles. April 1971: Delivered to Union Steamship, Wellington, New Zealand. 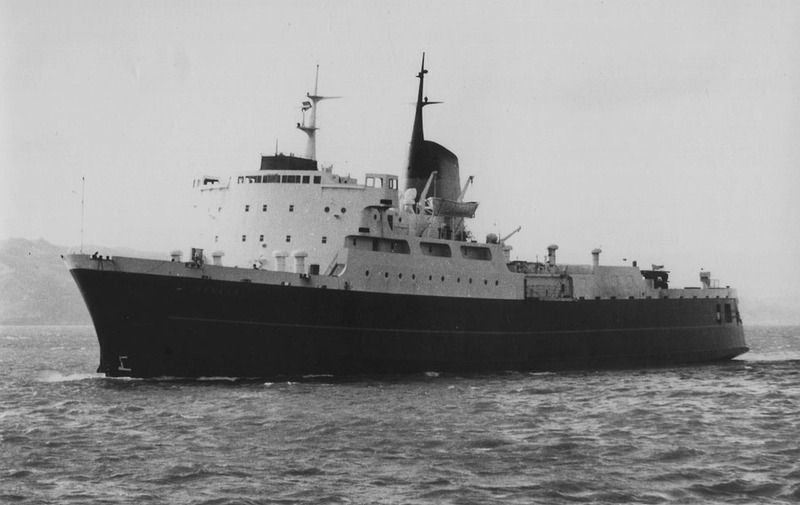 1970: Introduced, as a freight ferry between Christchurch – Wellington. 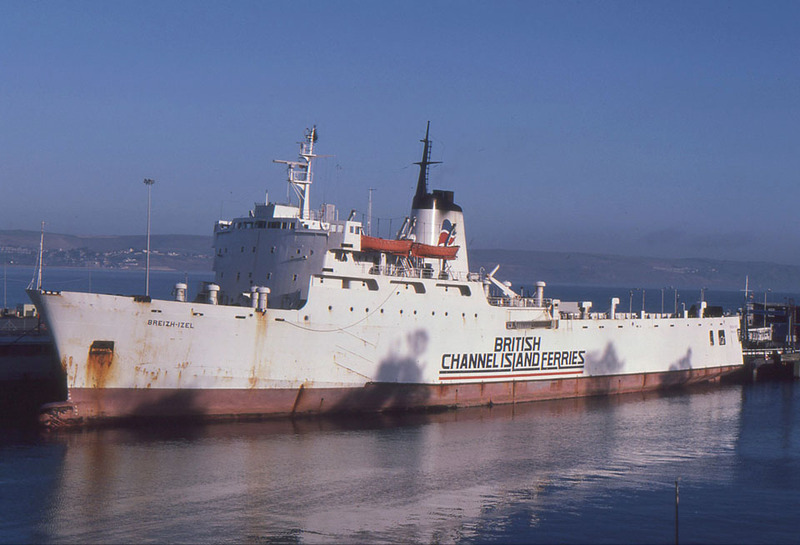 1976: Sold to Sealanes Transport Co, Piraeus, Greece and renamed RATA HILLS. 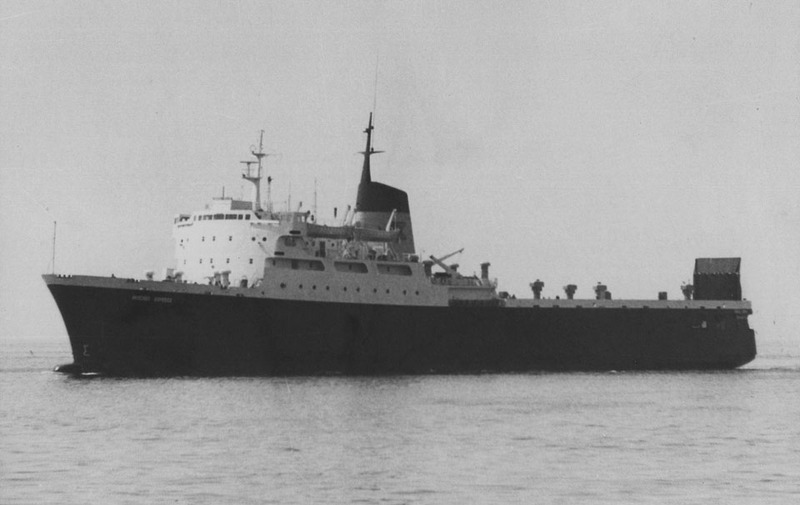 1978: Sold to Iniochos Shipping S.A. Piraeus, Greece and renamed INIOCHOS EXPRESS. 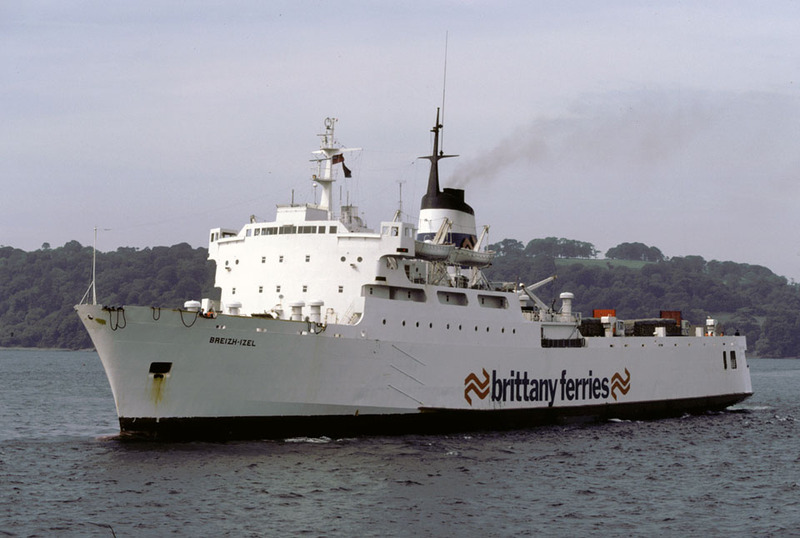 1980: Sold to Brittany Ferries S.A., Morlaix, France and renamed BREIZH-IZEL. 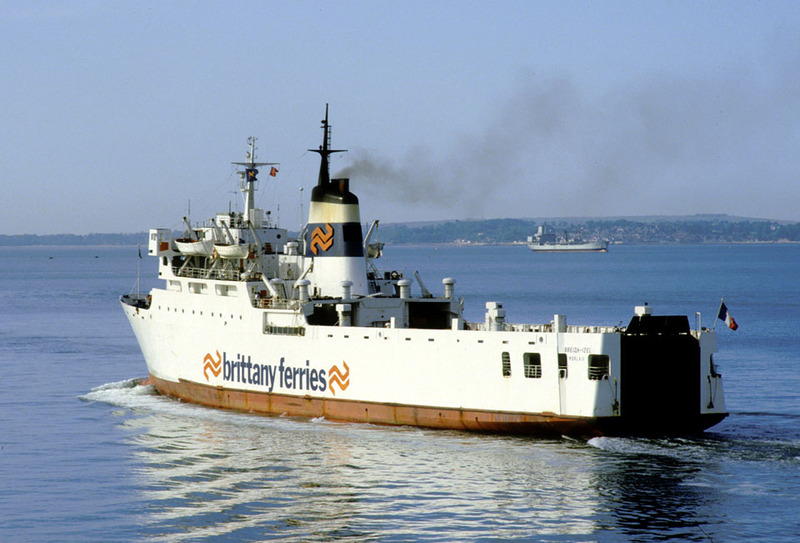 1980: Service between Plymouth – Roscoff -Santander. 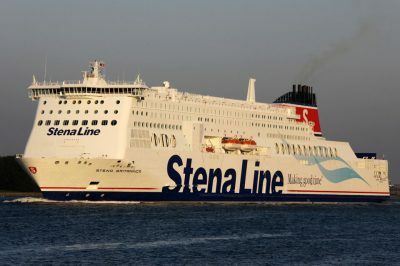 February 1982 – March 1982: Chartered to Sealink UK Ltd, England for services between Stranraer – Larne. 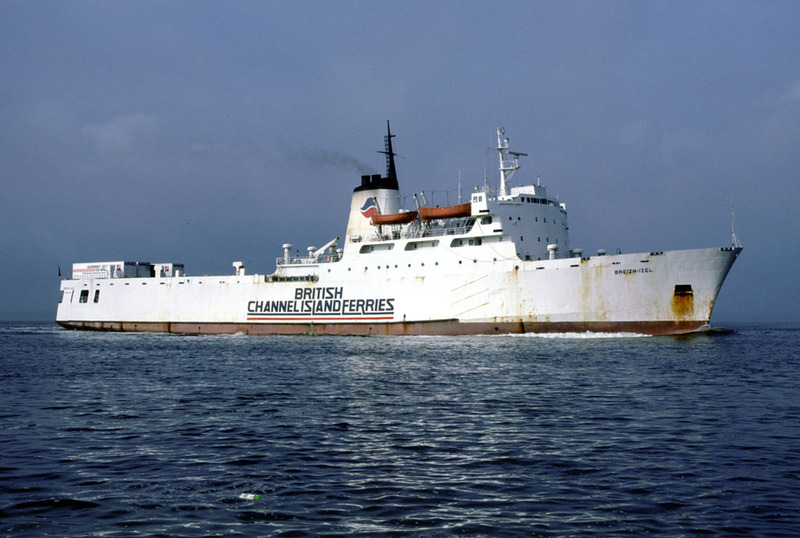 November 5th 1983: Chartered to Overseas Container Services (OCS) for services between Newhaven – Dieppe. 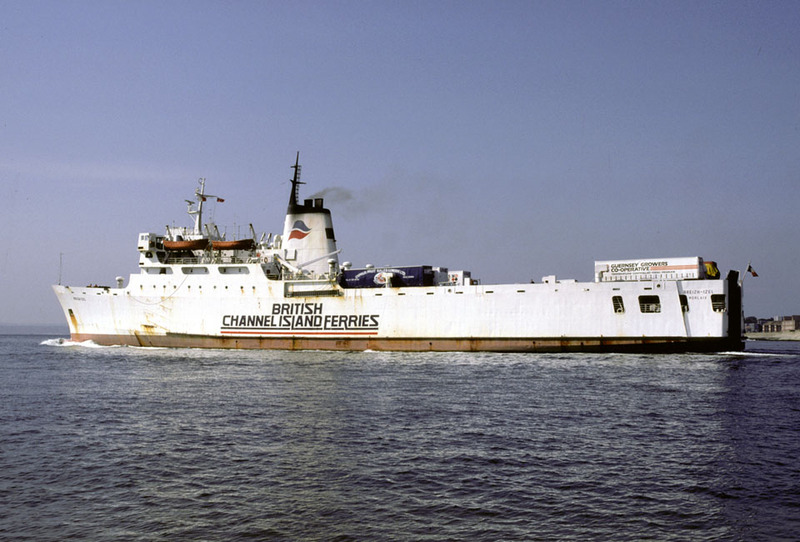 1987: Chartered to British Channel Island Ferries for services between Portsmouth – Jersey – Guernsey. 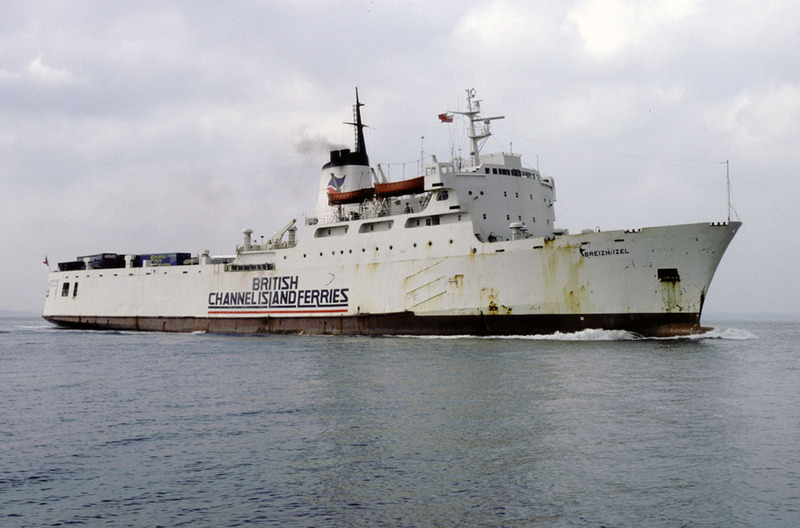 February 27th 1989: Final day in service for British Channel Island Ferries. 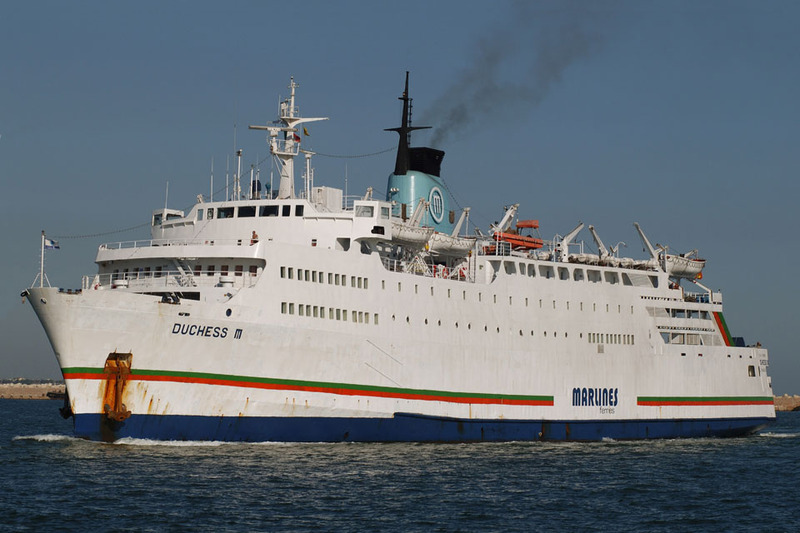 1989: Sold to Marelite Marine Co. Ltd, Limassol, Cyprus and renamed DUCHESS M.
1989: Rebuilt as a passenger ferry in Greece. 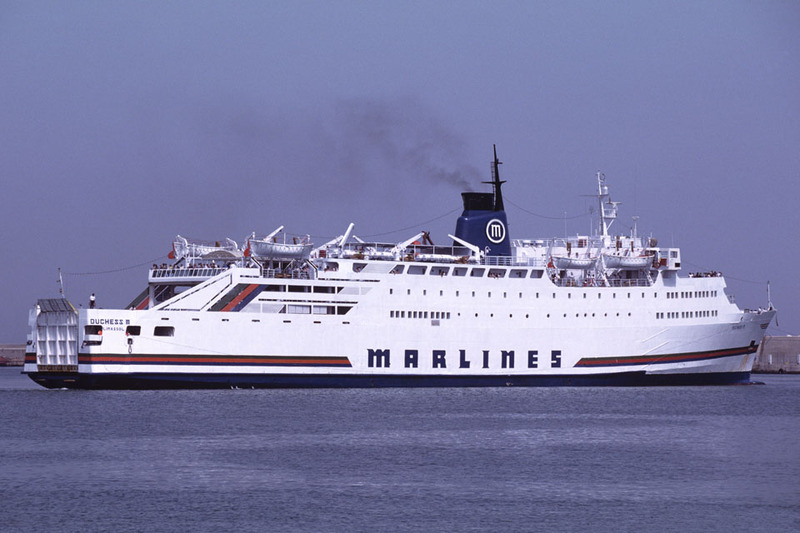 1990: Services for Marlines between Patras – Ancona. 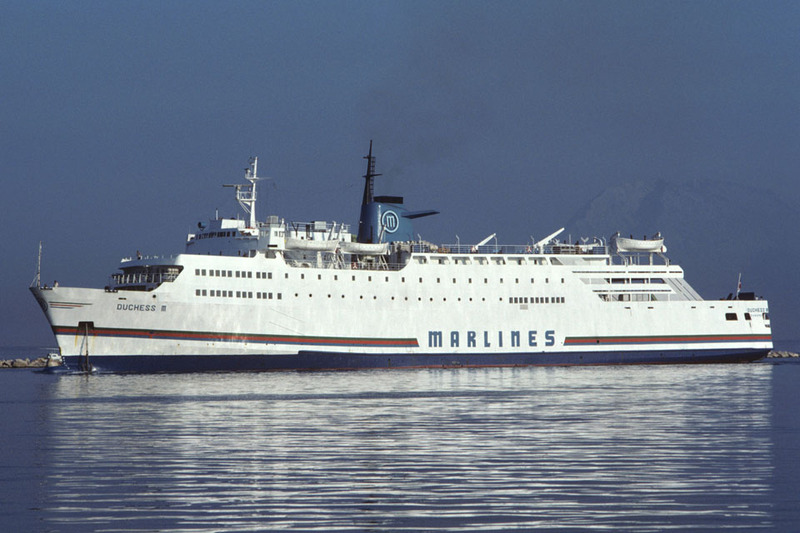 1991: Services between Patras – Brindisi. 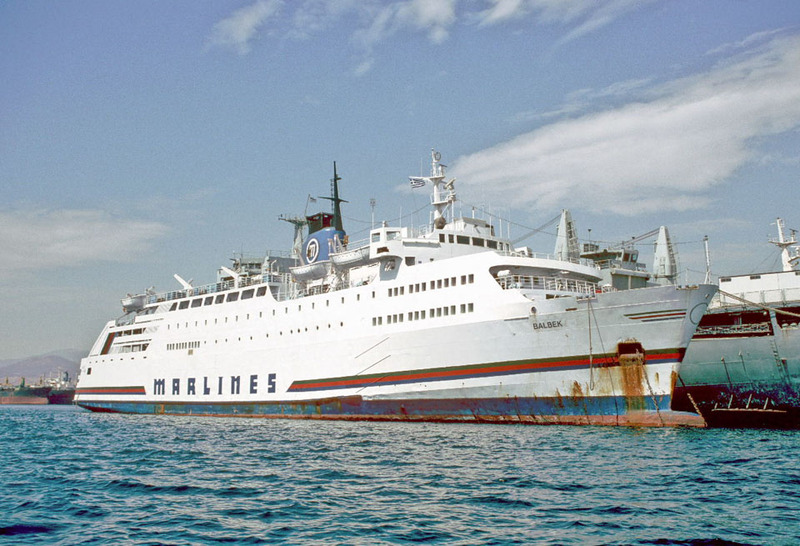 1995: Services between Bari – Igoumenitsa. 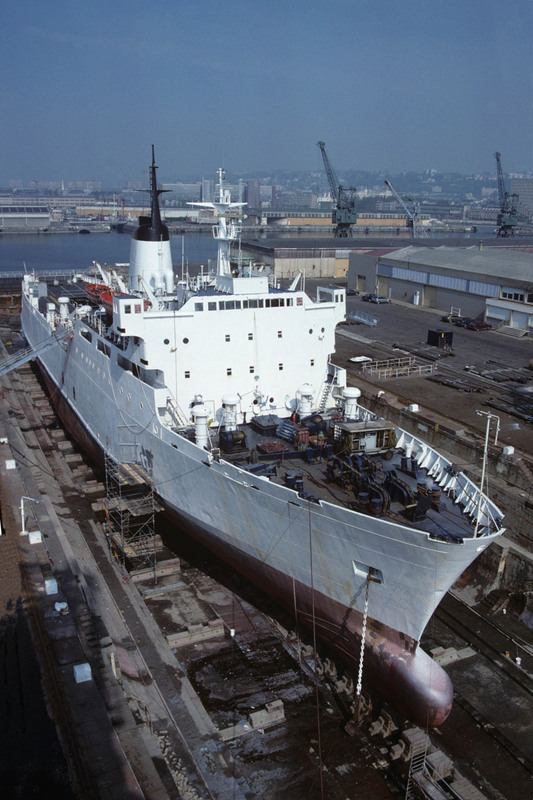 1999: Sold to Shinedeck Shipping Ltd., Limassol, Cyprus and renamed BALBEK. 1999: Laid up in Eleusis Bay, Greece. 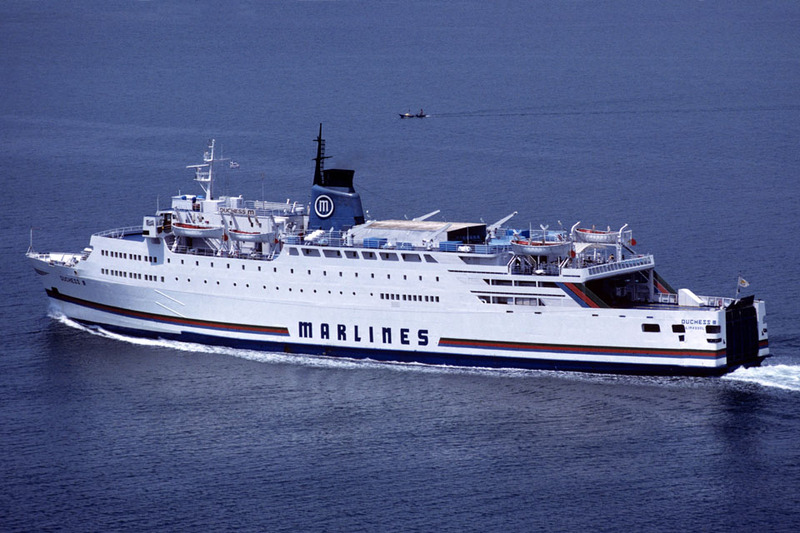 June 24th 2000: Services for Marlines between Igoumenitsa – Bari. September 12th 2000: Laid up in Eleusis Bay, Greece. 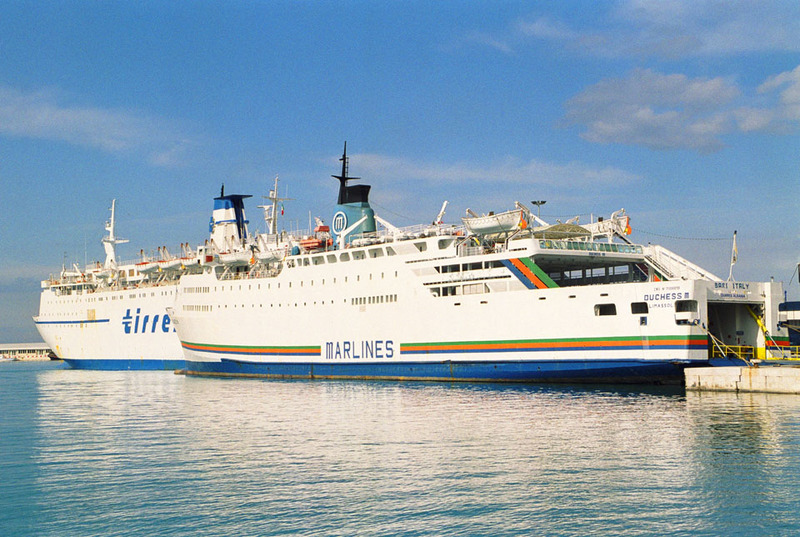 June 2001: Services between Bari – Igoumenitsa. 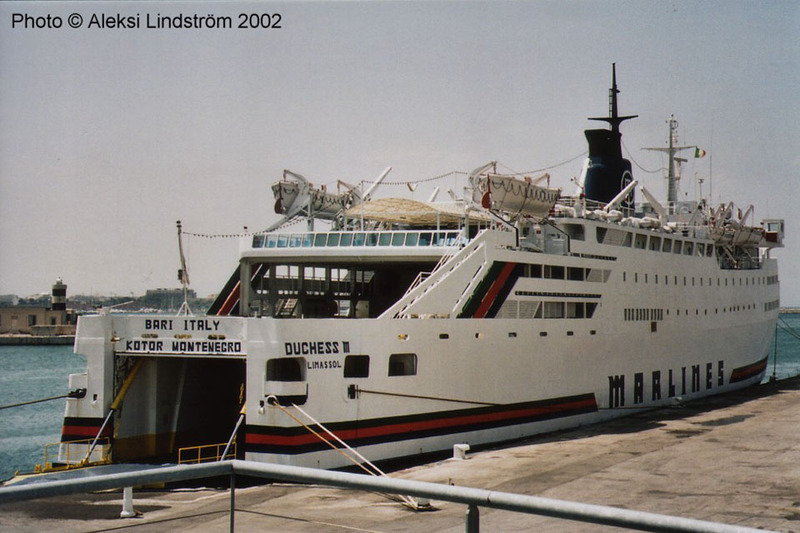 July 2001: Renamed DUCHESS M and chartered to Italian authorities to become Hotel vessel during the G8 summit in Genoa. August 2001: Laid up in Eleusis Bay, Greece. June 29th 2002: Services between Bari – Kotor. 2002: Laid up in Keratsini. 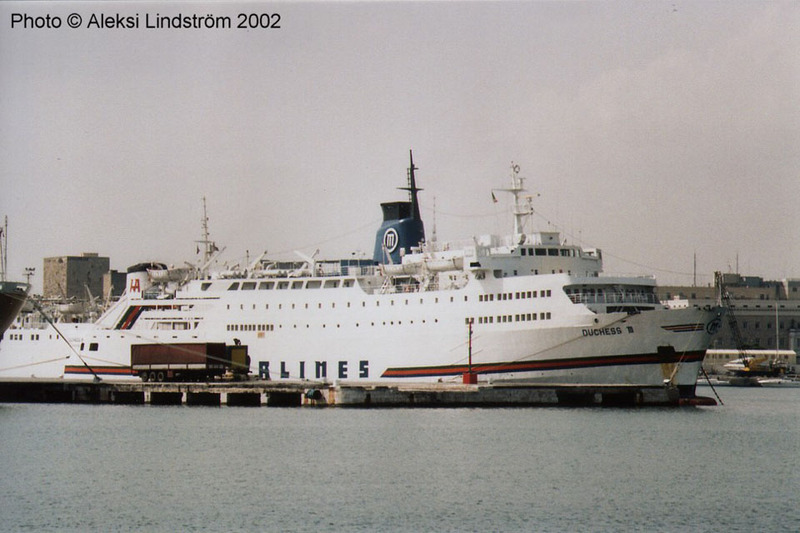 June 28th 2003 – September 14th 2003: Services between Bari – Durres/ Bar. 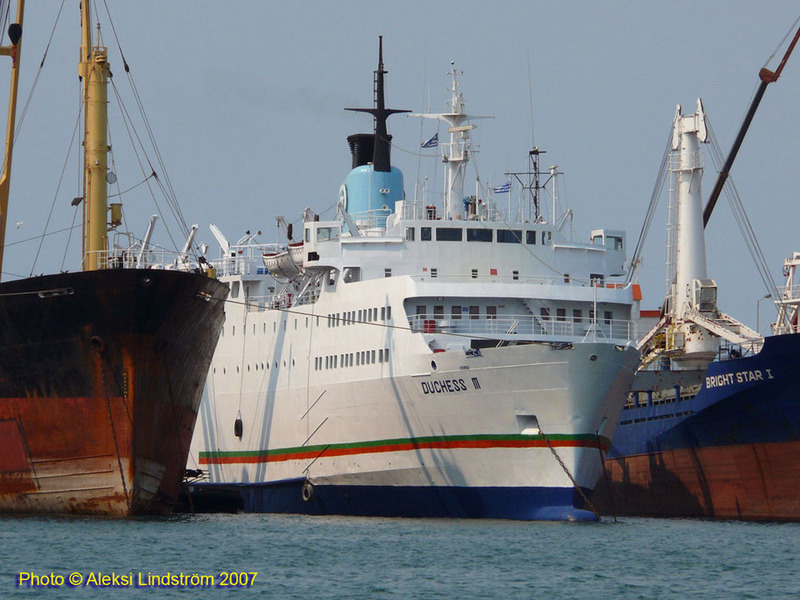 July 1st 2004 – September 18th 2004: Services between Bari – Durres/ Bar. July 1st 2005 – September 2005: Services between Bari – Durres/ Bar. 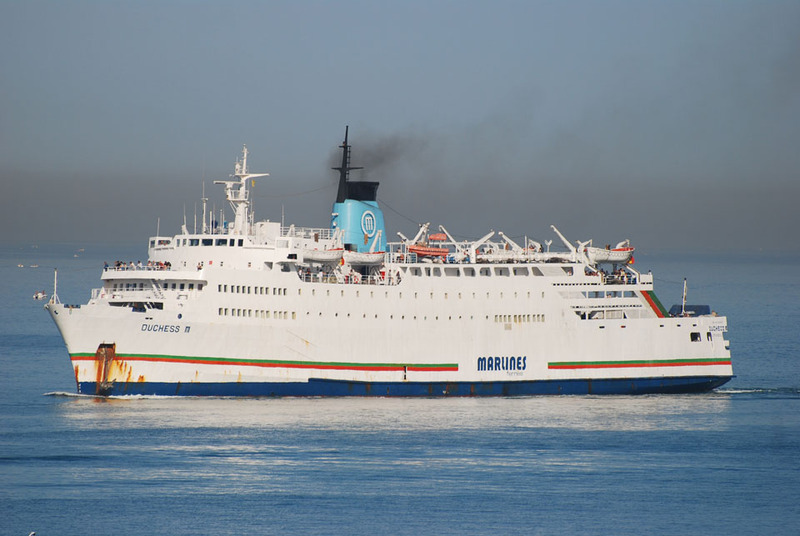 December 11th 2005 – September 2006: Services between Bari – Durres/ Bar. September 2006: Arrived in Drapetsona. June 29th 2007: Left Piraeus for Bari. 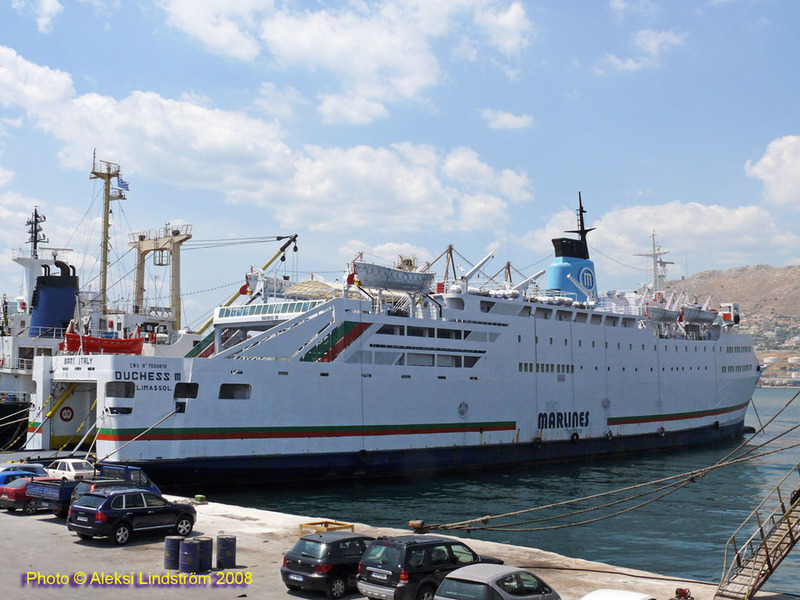 July 1st 2007: Services between Bari – Durres/ Bar. September 10th 2007: Laid up in Eleusis Bay. May 13th 2008: Towed to Drapetsona. June 28th 2008: Left Drapetsona for Durres. 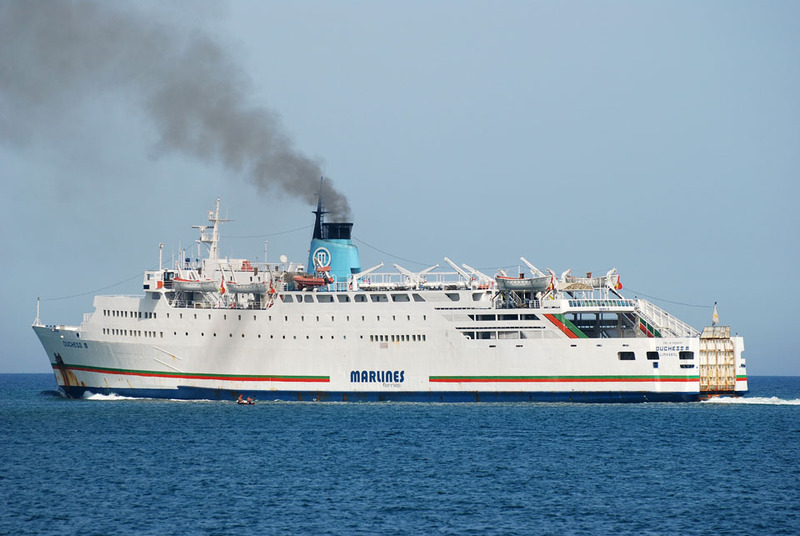 June 30th 2008 – September 6th 2008: Services between Bari – Durres. November 17th 2011: Laid up in Eleusis Bay. November 2014: Renamed CHESS to be towed for breaking in Turkey. December 1st 2014: Arrived at Aliaga, Turkey for breaking. All information is believed to be correct and no responsibility is accepted for any errors or omissions. All items included in this article are subject to © copyright. We would like to take this opportunity of thanking: Carsten Dettmer, Brian Fisher, Peter J Fitzpatrick, Frank Heine, Patrick Hill, George Koutsoukis, Ken Larwood, Aleksi Lindström, Simonwp and Andreas Wörteler for their assistance in producing this feature.